A good day! 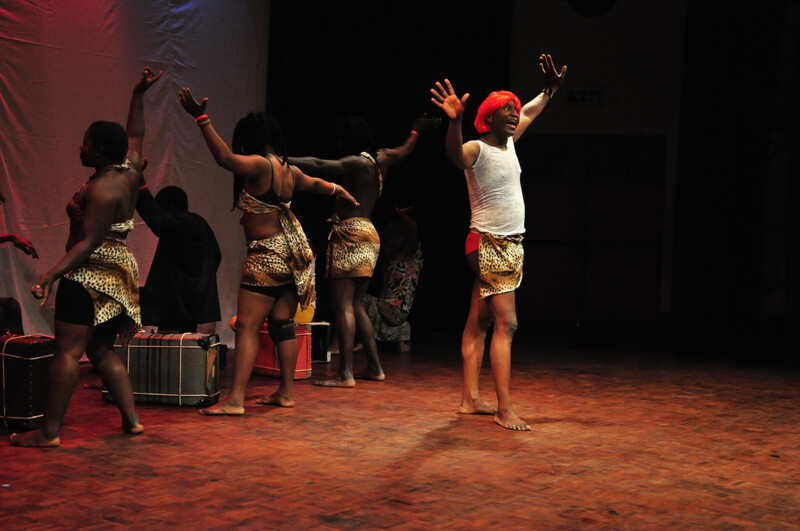 I started with dance and music, then some more music and finally a play and they were all quality performances. 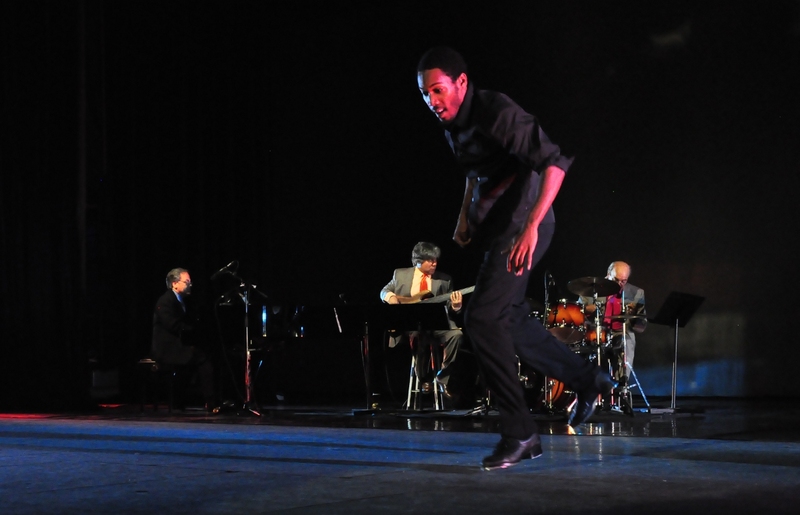 If I had to chose a top show it would be the Jazz Tap Ensemble. Just awesome!!! 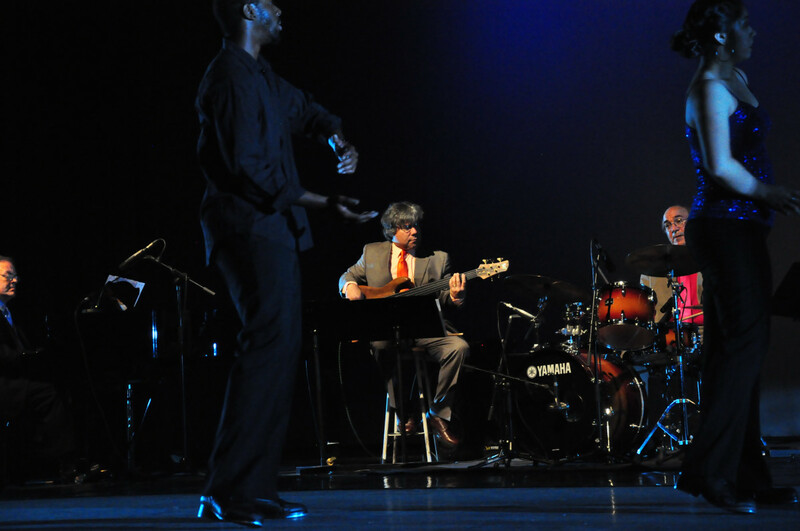 Jazz Tap Ensemble – the band. 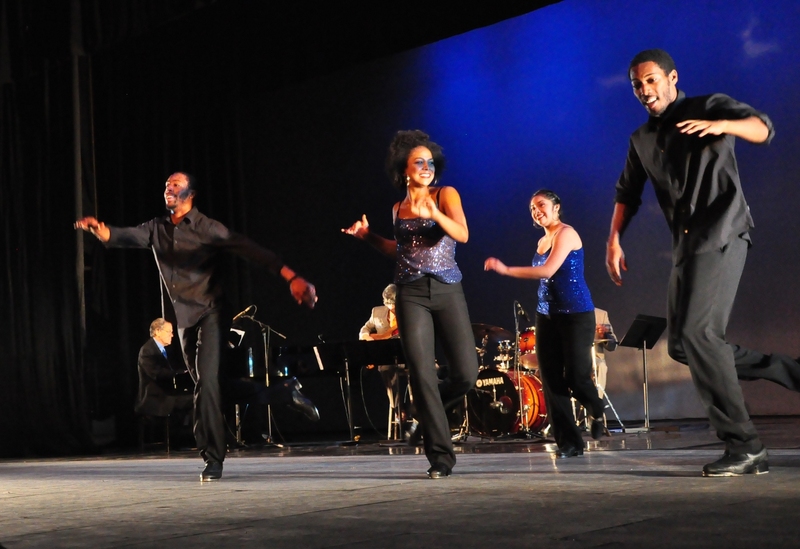 The dancers of Jazz Tap Ensemble. Brought to HIFA from Los Angeles by the United States Embassy in Harare. Thanks guys, this has to be one of the highlights of this year’s HIFA. 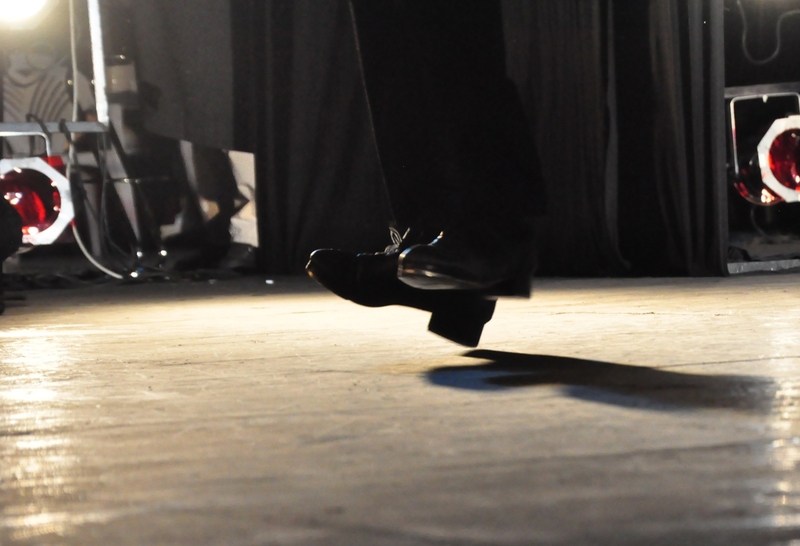 A solo piece from Jazz Tap Ensemble. 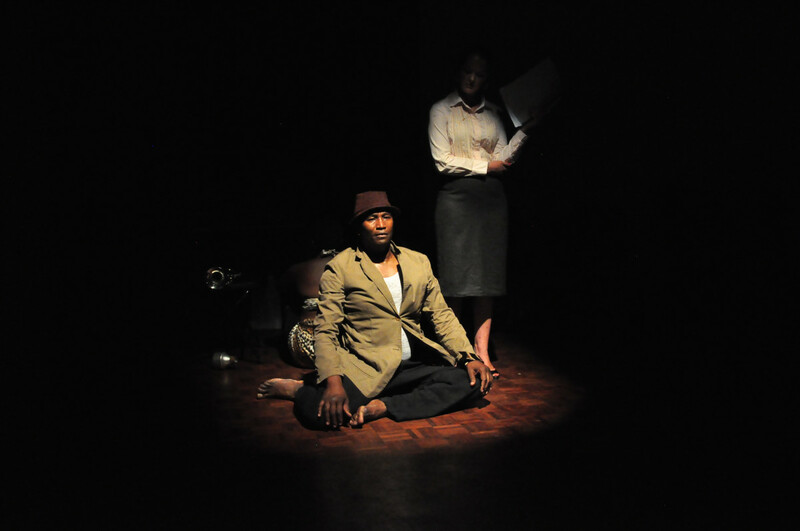 The Accused – things go badly for the newly arrived immigrant in London. The Accused. 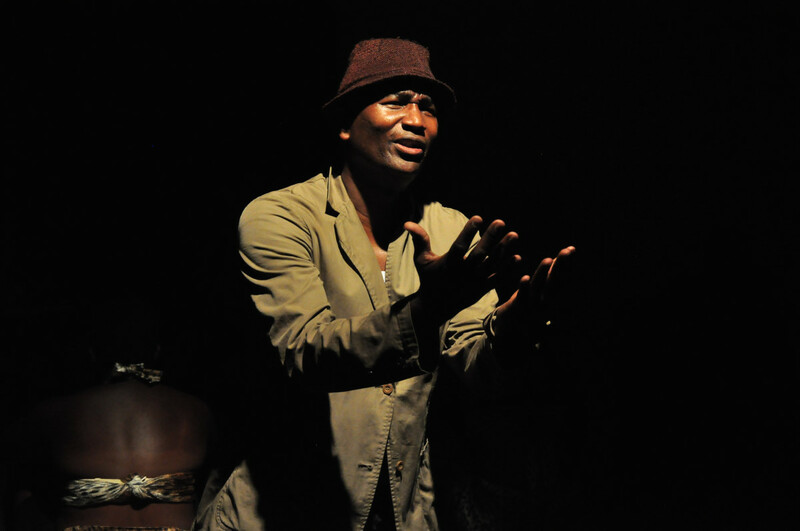 Brought to Zimbabwe by Sierra Leonian Patrice Naiambana and supported by a cast of Zimbabwean actors. At times hilarious and at times sobering, this was quality theatre about an African immigrant to London. All performances sold out so far as I know. 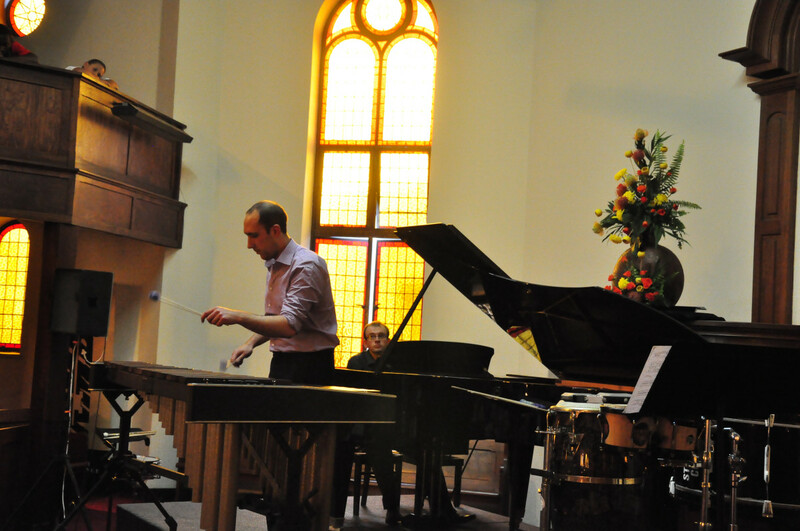 Gerard Rundell lets rip on the percussion instruments. 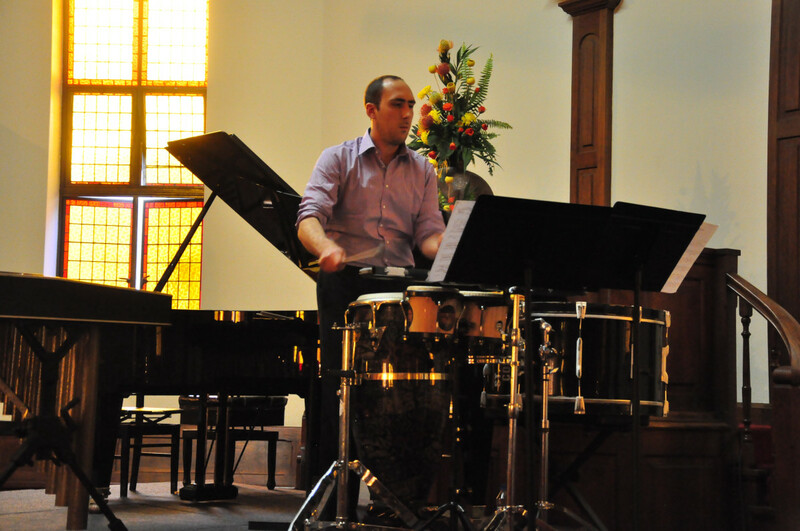 He called it Beethoven for percussionists. No, it was not Beethoven but is was seriously impressive! 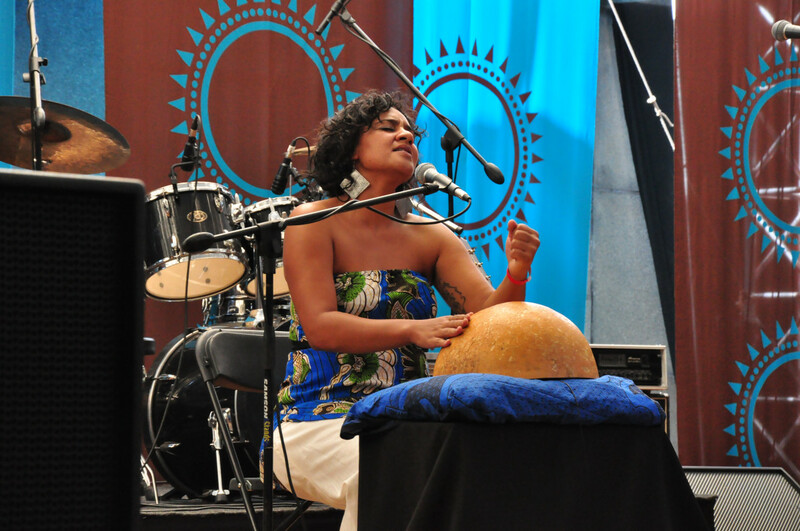 Maia von Lekow pounds the calabash – it seems you can make an instrument out of just about anything. 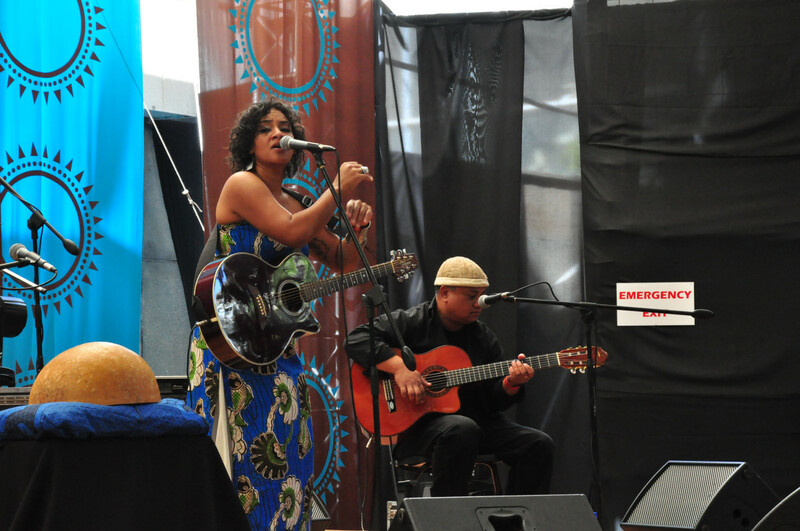 A mixture of soul, blues and her own Kenyan style. If she’d had a CD I’d have bought one. Maia von Lekow and her backing guitarist. She also played her own guitar.